First, know that it's a term you'll see on some of the best domestic red blends. The Meritage (rhymes with heritage) Association was formed in 1988 by a handful of progressive Napa vintners. They’d grown frustrated with our domestic requirement that a wine contain at least 75% of a specific grape in order to list that varietal on the label (Cabernet, Chardonnay, etc). And because the U.S. wine drinker had been used to seeing this for 60 years, even the best blended wines were seen as inferior if they didn't have a grape variety listed on the label. So the Association undertook something never tried before - creating ultra-premium wines using the blending practices of Bordeaux and a unique brand that fit the high quality of the wine. The Alliance held a naming contest for the new brand, generated 300+ entries, and ended up adopting the word “Meritage” (but don’t Frenchify its pronunciation, remember that it rhymes with “heritage” – and in fact is a combination of Merit and Heritage). Given the alliance’s Bordelaise inspiration, all red Meritage wines must be a blend of the classic Bordeaux grapes – Cabernet, Cabernet Franc, Merlot, Malbec and Petite Verdot. 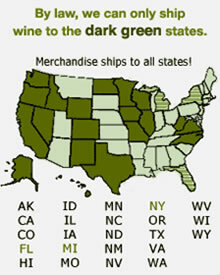 Now in its 24th year, the alliance has grown to over 250 wineries, each paying a percentage of sales to the alliance. The wine begins with fruit from the heart of Napa Valley - the Oak Knoll AVA, known for its variety of soil types, each lending a slightly different profile to Oak Knoll wines, which are identifiable by their full-flavored, intense fruit profiles. 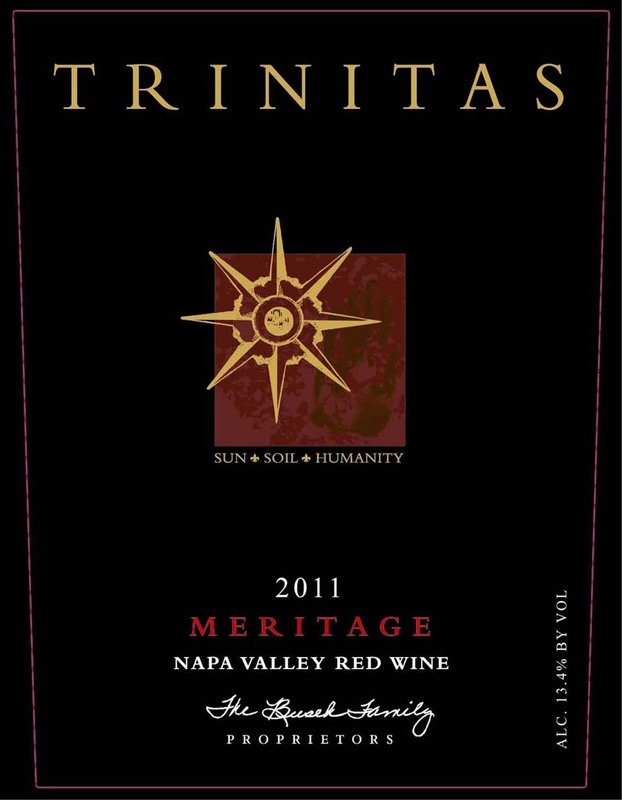 The Trinitas winemaker amplified this fruit-forward profile by cold-soaking the grapes prior to fermentation and by using a slow, cool fermentation. This technique not only aids in color extraction, it emphasizes fruit flavors and aromas. And following the tradition of great Bordeaux, the wine is aged for 22 months in 100% New French Oak. Vintage Notes - the 2011 vintage was notable for being a "Winemaker's Vintage", that is to say, one that separates the adults from the kids. Weather proved challenging, with a cool, slow-ripening season interrupted in the middle of harvest by ten straight, unrelenting days of rain.Winemakers had to decide whether to harvest before the rains hit (and there was not enough labor to go around for every grower who decided to rush harvest!) and come in with a slightly green wine, or to wait it out. Those who chose the latter path never suspected the rains would last so long, and many who decided to (or were forced to by a shortage of labor) watched their grapes get moldy as the incessant rains prevented any sort of anti-mildew treatment. Yields were notoriously, almost ruinously, low - this vintage produced just enough good fruit for a precious 350 cases. In retrospect, this wine is one of the winners from 2011, coming in at under 14% alcohol (the 2010 weighed in at 15.2%!!) and a food-friendly body weight, it's an Old World Wine lover's wine - just, from California.